Defined jaw borders for men is a very masculine and aesthetically appealing feature, while for women, it signifies youth and beauty. With aging the borders get blurred by loose and saggy skin, wrinkles, as well as loss of jaw bone volume. Luckily, all these concerns can easily be addressed and fixed with the help of Dr. Avaliani and her expertise. How do I know which treatment I will need? There is no way one will or should know what they need when they come for a consultation. 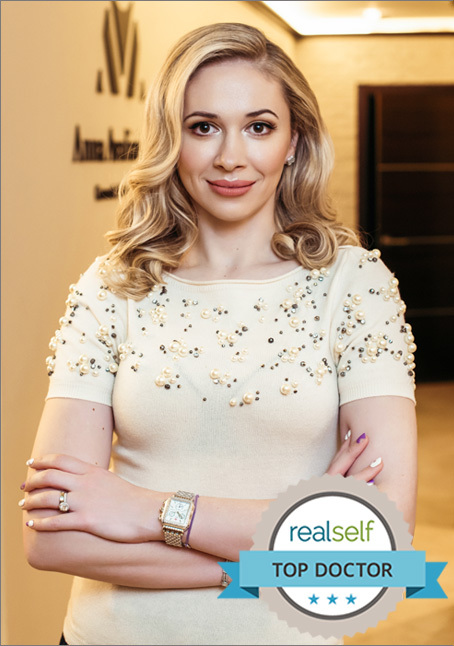 Dr. Avaliani offers a comprehensive and complete consultation where she will examine the quality of skin, the degree of skin and volume loss and will offer the best possible treatment solution. It is important to understand that sometimes, more than one treatment will be needed to achieve optimal results. Dr. Avaliani asks that you bring previous photographs of yourself for comparison to better understand where the volume was lost. It is also a great idea, to think of all possible questions you may have before your appointment, in order to make sure you will leave with a thorough understanding of why the particular treatment was offered and how It will help. It is very difficult to state the price, as the treatment varies from one individual to another. You will be provided with a price quote at the end of your consultation for your review.